On Edwidge Danticat’s "Water Child"
Editor’s Note: This is the second edition of Borderless--a new column at Isak that will focus on immigration literature in the United States and feature reviews of well-known, under-known, and new texts. You can get to know its author, Monet Moutrie, here. Edwidge Danticat was born in Haiti in 1969 and at the age of twelve, moved to Brooklyn to live with her parents. As an immigrant teenager, Danticat wrote a short piece about her experience, which later became the foundation for her first novel, Breath, Eyes, Memory. Published in 1994, her novel later became an Oprah’s Book Club selection, catapulting her success to new levels. Danticat is only one of many immigrant voices, yet her success has been unparalleled in recent years. As a young writer, Danticat offers a fresh perspective on the immigration process, but she still is twenty years removed from the men, women, and children that are arriving to America today. Instead, hers is a voice that has been seasoned by both her Haitian childhood and her now American life. As in Lucy, the protagonist of “Water Child” is a young female, living in New York City, and working in the care-taking industry. Nadine is a nurse in an Ear, Nose and Throat ward in a New York hospital. The reader is given brief glimpses of her interaction with her coworkers and her patients. While presented as an adequate nurse, Nadine remains aloof from her fellow nurses; the coworkers that attempt to show interest in her life are “met only with cold silence and a blank stare." The reader is also kept at a distance from Nadine herself; Danticat does not include much inner dialogue, instead she presents Nadine in actions and in limited conversations. Nadine’s refusal to connect with her American coworkers proves to be an issue that expands to multiple realms of her life. She avoids contact with her Haitian parents, receiving letters and letting them sit in her house, ignoring their pleas for contact. Her lover is a married man, which prevents Nadine from reaching out to him via phone. She anxiously awaits his contact but cannot initiate much of her own for fear of discovery. Nadine clearly struggles with human interaction; she fills her house with the sound of the television because it was, “her way of bringing voices into her life that required neither reaction nor response." The reader is led to question why this fear of emotional interaction is so strong. 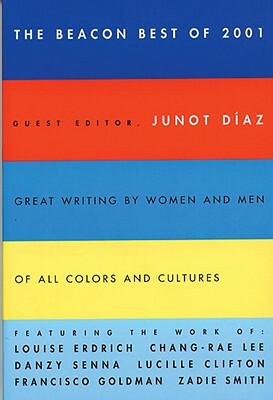 Nadine avoids connection with people from both her native culture and her new home; and while superficial barriers like language can be present in the immigrant experience, Danticat makes it clear that Nadine “spoke English with no accent at all." So what is the reason for Nadine’s distance? Much can be revealed in a statement about Nadine’s feelings towards her family. While she owes her success to her parent’s sacrifice, Nadine still longs for more; she wants “to be reassured now and then that some wounds could heal, that some decisions would not haunt her forever." There is a reservoir of hurt that Danticat only faintly alludes to, but while the painful events remain foggy, the lack of emotional support is clear. Nadine finds no one to help her along that path of recovery, and so she shuts down from any genuine human connection. To further establish this lack of human interaction and communication, Danticat places her protagonist in a ward that treats post-op patients recovering from laryngectomies. These patients often, “wake up bewildered to discover that…they would no longer be able to use their voices to communicate." Nadine interacts with only one patient in the story, a young woman who loses her ability to speak after her larynx is removed. When the patient attempts to express her despair at being unable to speak, Nadine responds poignantly with “That’s right…You cannot express yourself the way you used to." How simple a statement and how relevant to both the young patient and to Nadine. Moving away from Haiti has offered Nadine opportunity, but at a high emotional cost. Just like the patient, Nadine needs to learn how to communicate and connect in a different way, a way in which she can express her hurt and find paths of healing. This story revolves around one specific decision that I purposefully did not allude to. Nadine’s isolation is made even more evident by her inner turmoil over this event. The story ends with Nadine realizing that she no longer recognizes the woman who stares back at her. Moving to a new country often brings about a crisis of identity; Nadine is burdened with facing this crisis alone. While not everyone will experience moving to a new country, human beings across race, gender and social status understand the pain of isolation; Danticat introduces her readers to both. you almost never see reviews of single stories anywhere. story collections, sure, but a single short story? rare. anyway, edwidge danticat is great. while she's gotten her share of acclaim, it still doesn't seem proportional to her talent and wisdom.